With summer in full swing, it’s the best time to relax in the sun’s natural rays. It’s also the right time to figure out how you can conceal them with ease when needed. A Lutron lighting system can create the perfect balance of lighting in your South Bay living space – and provides a variety of ways to enjoy it. In this blog, we dive into the ways you can utilize your lighting system and how your entire home will benefit from installing one. Keep on reading below to learn how Lutron can help you take advantage of all this summer has to offer. Lutron lighting lets you make the most stylish and luxurious environment in your house – exactly as you want it to be. When you get up in the morning, you can enter a brightly-lit downstairs and kitchen – waking you up to start the day. This setup is straightforward as you can set your lights to turn on when your alarm goes off. Say you’re in the mood to read a book upstairs or to take a nap in the living room. You can easily push a button on your smart device of choice, and watch as the lights either turn on or off at your command. Use a smartphone, tablet, or even a decorative wall panel to control every aspect of your system. 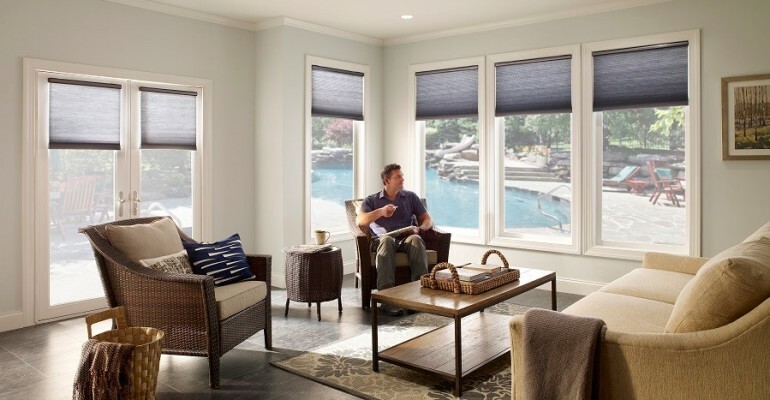 Lutron also offers automated shades that come in numerous styles, fabrics, and designs. Choose the dual shading concept, and you can have blackout shades paired with sheer shades, to create a functional and stylish option. The summer sun can get more and more intense as the day progresses. You might prefer natural light in your room at some points during the day, but want an easy way to protect your furniture, flooring, and art when the sun gets high in the sky. So how can you make sure your interiors don’t get damaged? This is why your Lutron motorized shades are a crucial part of a lighting system. You can install photo sensors that detect when the sun is shining intensely through your window. Then they will automatically alert your shades to lower. This will keep the sun’s rays from harming your irreplaceable artwork, furniture, or other valuable items that might be in the light’s direct path. Every component of your lighting system is connected. So your smart lighting will immediately brighten up a room once its shades have been lowered. Keep a room’s lighting balanced, always! Are you getting ready to throw a party or host a dinner party? You can ensure that your guests feel welcomed and relaxed the entire time. It’s beyond easy to create ambiance at your place. Push a button on your smart device to dim your lights while everyone dines, and make a welcoming atmosphere to encourage conversation. Once your guests move throughout your home, they can even go to your media or TV room and lower your blackout shades, setting up the room for a movie or a video game. When everyone leaves, you can turn on your landscape lighting and make sure your family and friends have a well-lit path to their cars, keeping them safe. This also gives your home an enhanced curb appeal. A Lutron lighting system will transform how you entertain and the way you go about your daily life in your home. Want to learn more about this top-notch smart technology? Give us a call or fill out our online contact form to schedule a no-obligation consultation. We’d love to hear from you!